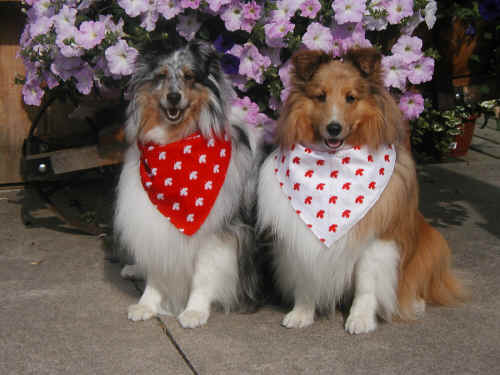 Dogs have always been a part of my life, the first dog I ever had was a cross between a Pekinese and Terrier. Her name was Binky and she was a birthday gift from our landlady on my first birthday. Old Bink lived to be 18 years old. The next dog I owned was a white Miniature Poodle named Toby, a Christmas gift from my aunt, he lived to the grand old age of 17 years. 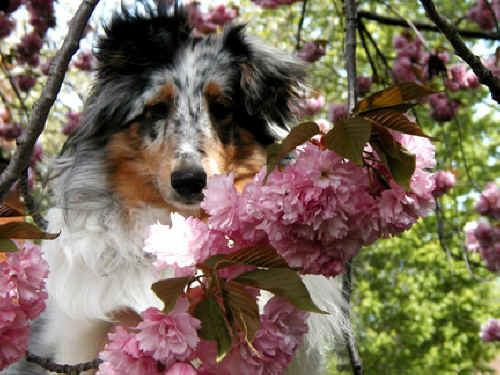 My next dog was Jackie, a mixed breed as well, she was a hand me down from a family that could no longer keep her. I was never sure of her age but I know she was well in the teens when she passed on. 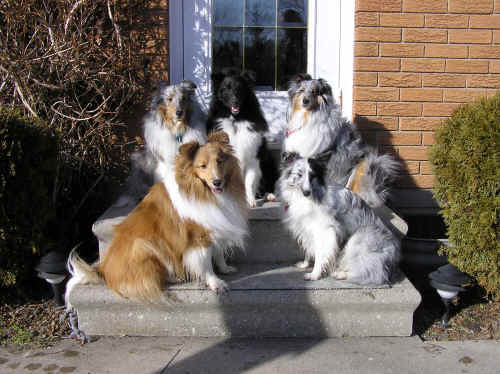 My dogs all seemed to live longer than normal dog lives. Then came Willy, he was actually a Valentine’s gift but I picked him out. He was a cross between a Lhasa Apso and a Spoodle, I brought him home when he was 8 weeks old and he was just the cutest little ball of fluff. He was a very special dog, loving and good tempered and very very cuddly. He was with me for 18 years. While I had Willy I thought that it would be good to have company for him when I worked all day so I got Sam, a white Lhasa Apso. He actually was more my son’s dog than mine, he was cute but temperamental. When I moved from Kingston to Burlington in 1998, I had to leave Sammy, who was then 16 years old behind. 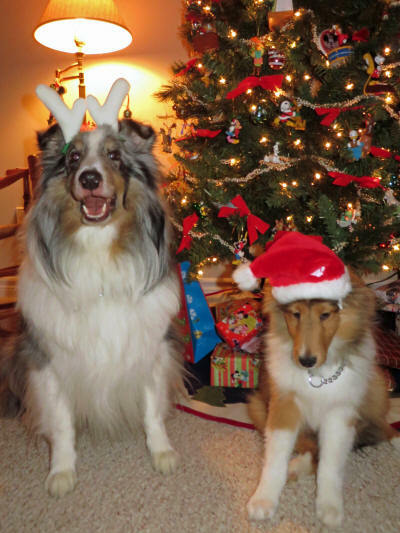 By that time Sammy was deaf and blind and it just didn't seem right to take him to strange new surroundings where he would have trouble navigating. Particularly since Gary had three cats and a swimming pool. So Sammy moved to my parent's home where he was able to get around without bumping into furniture. They had him for another 2 years. 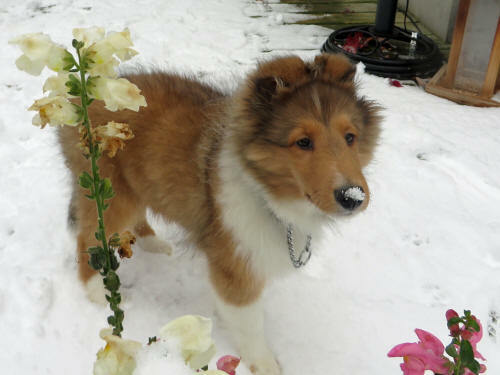 Life without a dog was difficult for me, and it became more difficult in the autumn of 1998 when my son Rob so proudly showed me his new puppy Ziggy, a Shetland Sheepdog with blue merle markings. The more fun we had with Ziggy, the more I craved a dog of my own. 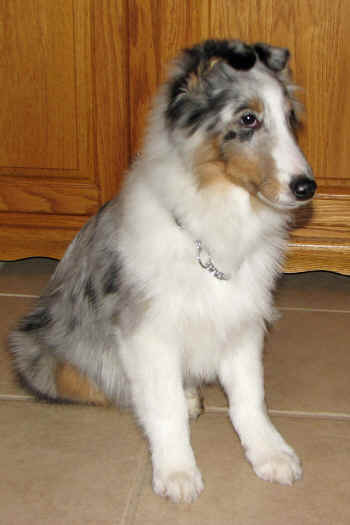 It didn't seem fair to leave a young puppy alone all day while Gary and I commuted to work in Toronto, but nonetheless I wanted a blue merle puppy! 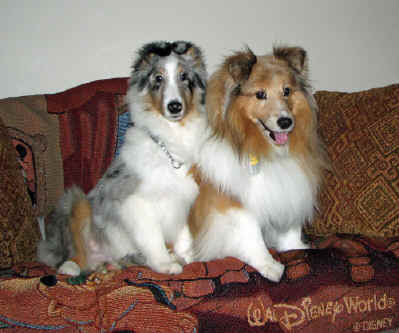 I broke down just before Christmas in 2000 when I found an adorable Shetland Sheepdog puppy needing a home. It was 2 days before Christmas and he was all-alone in a big cage in a pet shop. Zak just had to come home with me. 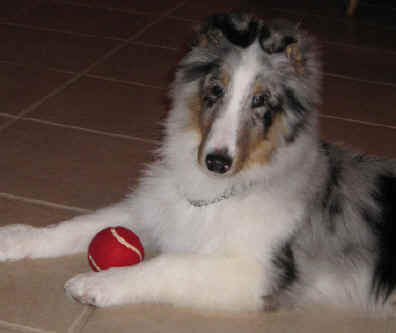 He wasn’t the blue merle that I wanted, he was a sable colour, but this wonderful little puppy was full of energy. From the day we brought him home all he wanted to do was play and chase a ball. We still have to warn our guests that if they throw the ball once they had better be prepared to play with him for hours. He just doesn't tire out! 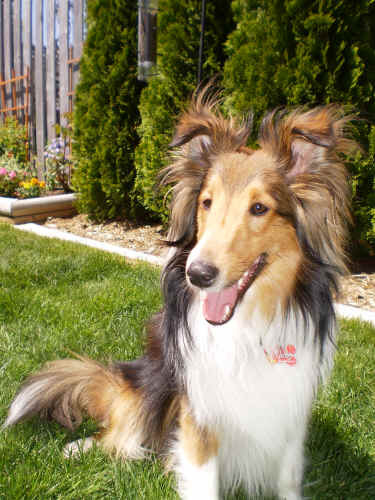 Zak also has an unusual trait for a Sheltie, he loves the water. A day at the beach, chasing his ball and swimming is a real treat for Zak. 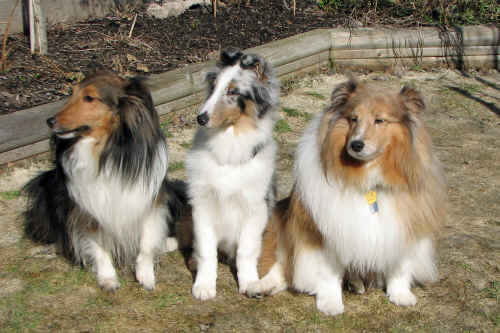 My son Rob now has two shelties, Ziggy and Daizy, both blue merles, and my parents have a black and white bi-colour sheltie, Maggie Mae. 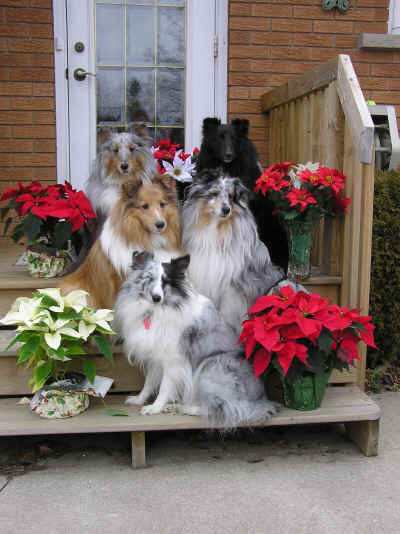 When the family gets together, it's a real houseful! Oh and not to be forgotten, is our cat Fluffy, just to add to the commotion. 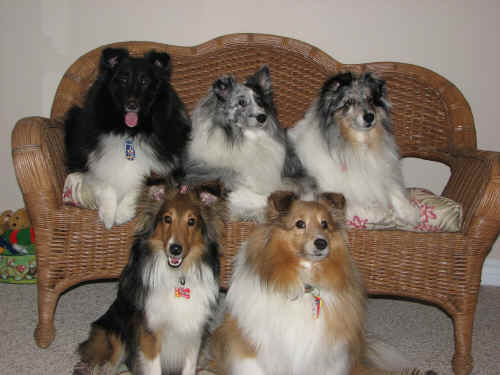 The dogs bring a great deal of joy and laughter to our lives, and I hope you will enjoy these pictures of them. 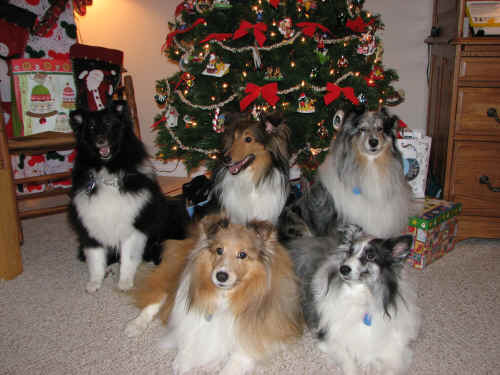 In 2008 we lost son Rob's dog Ziggy, the patriarch of our sheltie pack! We missed him dearly so it wasn't long until Jak came along to help fill the void. He moved in with Rob in September and quickly fit in with our canine clan! Jak is a real character and we all have trouble keeping up with him. 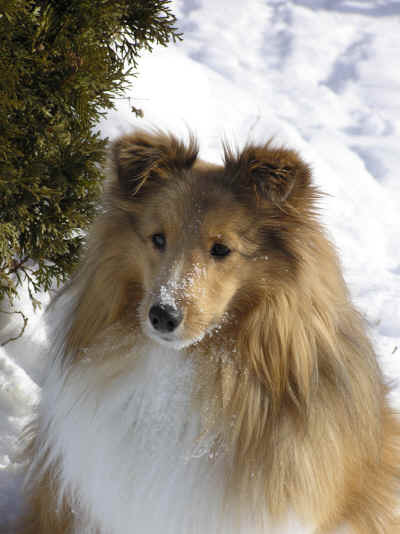 In 2010 we lost our Zoë. She was diagnosed with kidney disease and we nursed her with special diet and medications for a year but, as always, her time still came all too soon. Once again there was a void . . . but once again it was soon filled. 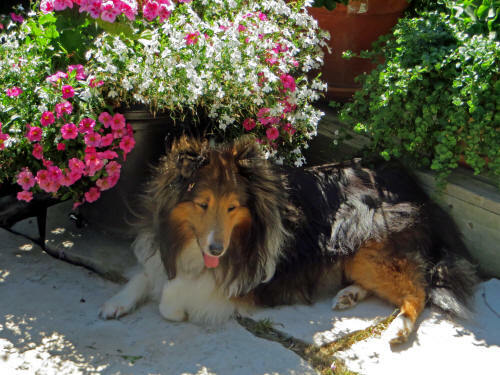 In September 2014 our loyal friend Zak went over the rainbow bridge. 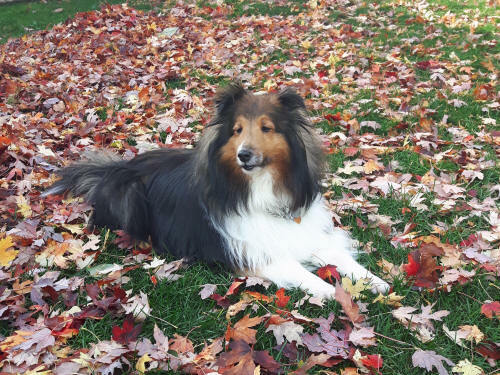 He was a wonderful companion for fourteen years and our hearts were heavy when it came time for him to go. We decided to wait a while before looking for a new puppy, but Blue was just so lonely that we reconsidered. 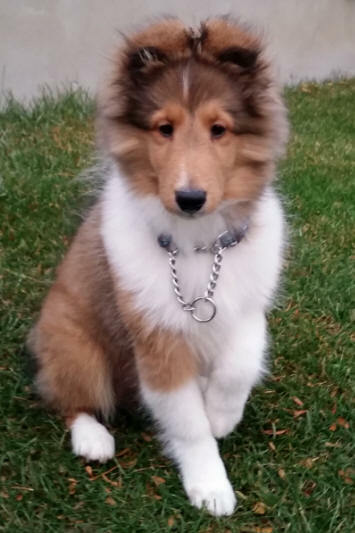 Jake joined our family in November 2014. In the fall of 2017 we adopted nine year-old Jak. He had visited so many times with our son Rob that it was a fairly easy transition for everyone. 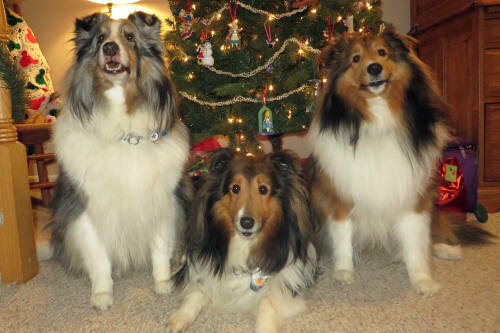 Jak and four year-old Jake enjoy playing together; we often chuckle as they chase each other all around the house, racing as fast as they can, while Blue sits on the couch, growling occasionally. We suspect that Blue thinks he's refereeing! 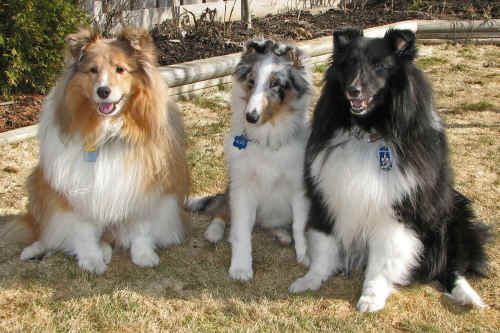 Every August we take the dogs to the Kingston Sheep Dog Trials at Grass Creek Park, about 10 miles from our home. 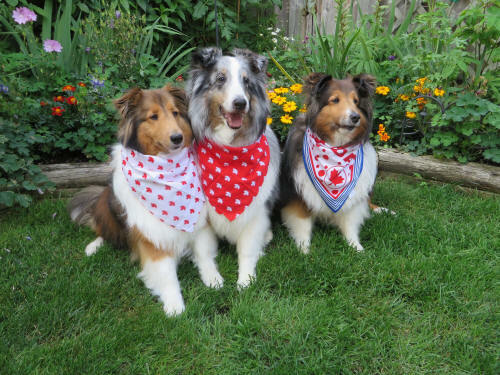 Herders from all across North America come with their dogs to compete. We have been told that herders consider this a very prestigious event to win! 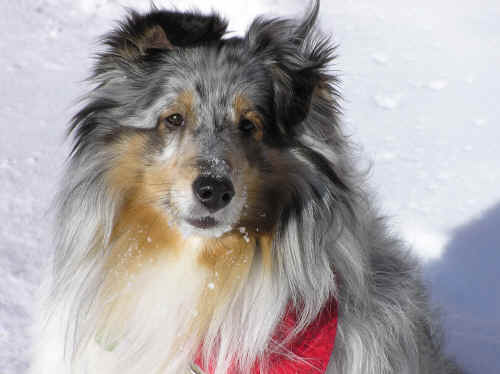 The dogs curl up and sleep under our lawn chairs while we watch the herders, but Jake really comes to life when we take him to the Lure Course! 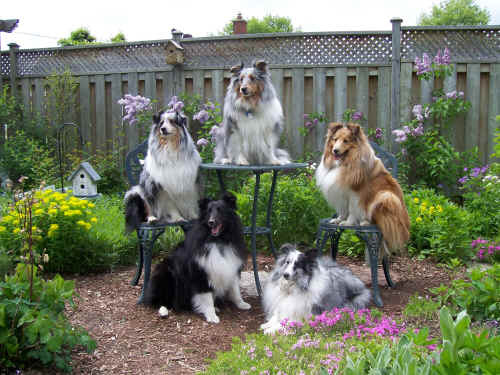 It's an obstacle course with a 'lure' which the dogs try too catch. 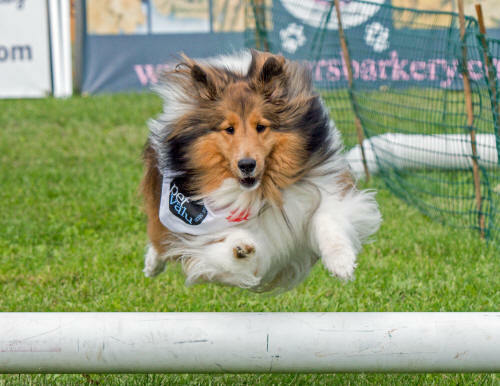 As the dogs chase the lure around zig-zag the course they have to jump over hurdles and through rings. You can see Jake clearing a hurdle in the picture on the left! 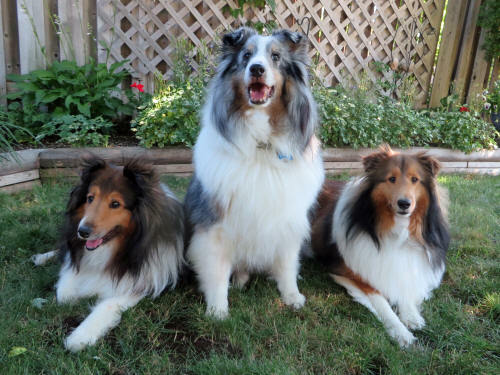 Jak and Blue don't much care about chasing the lure, they're happy to be spectators . . . but we have trouble holding Jake back as he waits his turn!